January 15, 2019 – New Orleans, LA – More than 7,000 farmers from across the country attended the 100th American Farm Bureau Convention held in New Orleans, Louisiana where they attended breakout sessions on hot topics and issues affecting agriculture, networked and garnered new ideas at the IDEAg tradeshow and took advantage of countless engagement opportunities. 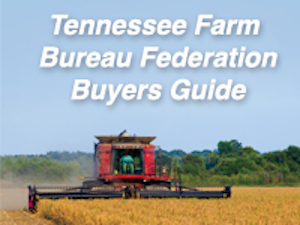 Tennessee Farm Bureau Federation received awards in Advocacy; Engagement and Outreach; Leadership and Business Development; and Membership Value, which are based on excellence in implementation of outstanding member programs and membership achievement in 2018. The Tennessee Young Farmers and Ranchers program also had a successful convention, with competitors showcasing how talented Tennessee young farmers truly are. 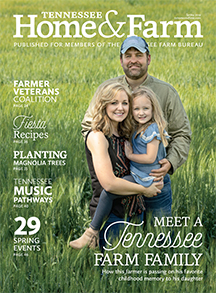 AJ and Valerie Teal of Coffee County were named to the top ten in the nation in the Achievement Award, which recognizes young farmers and ranchers who have excelled in their farming or ranching operations and exhibited superior leadership abilities. Participants are evaluated on a combination of their agricultural operation’s growth and financial progress, Farm Bureau leadership and leadership outside of Farm Bureau. Doug and Julie Giles of Marshall County were named the top 10 in the nation in the Excellence in Agriculture competition, where results were determined by the young leaders demonstrating knowledge of and achievement in agriculture, as well as commitment to promoting the agriculture industry. Laura Vaught of Rutherford County made it to the Sweet 16 in the Discussion Meet, competing in three total rounds of competition. The Discussion Meet simulates a committee meeting in which active discussion and participation are expected. Participants are evaluated on their ability to exchange ideas and information on a predetermined topic. One of the highlights of the convention was having President of the United States Donald Trump address the group during the closing general session, where he thanked farmers for supporting him during the trade war and shutdown as well as emphasized the need for the border wall, highlighted tax cuts and deregulation. “We are going to keep federal regulators out of your tanks, your puddles and your ponds. We are going to get government off your back so you can go back to doing what you love – and you will do it right, I know you will,” said Trump. The President ended by thanking farmers for not only feeding the country and world, but also being the backbone of our nation. “Our nation was founded, settled and built by farmers. From the fields of Pennsylvania to the hills of Tennessee, from the plains of Missouri to the big sky country of Montana to the marshes of Florida to the fertile valleys of California, farmers have always led the way. 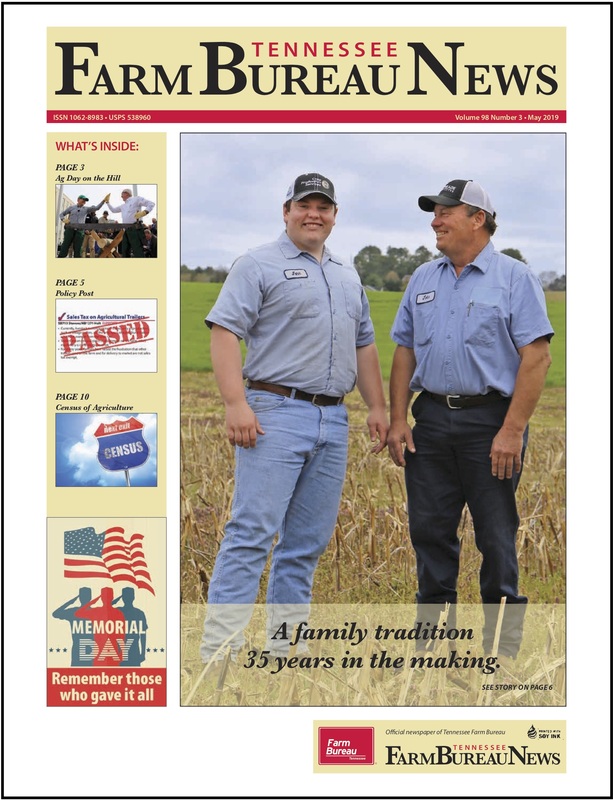 The American farmer embodies the timeless values of America and believes in hard work and self-reliance. To all the farmers here to today and across our country, the greatest harvest is yet to come,” said Trump. Tennessee also had several leaders present breakout sessions during the convention, with topics covering Agriculture’s Role in Addressing Livestock Care: Opiod Abuse: Perspectives from Medical Providers, Farmers and the Families that are Affected; and AFBF/4-H: A Winning Combination. Perhaps the most important event during the convention, delegates met, adopted and set Farm Bureau policy during the business session, where a total of 355 voting delegates, of which Tennessee Farm Bureau had 35, representing every crop and livestock sector in the United States deliberate on policies affecting farmers’ and ranchers’ productivity and profitability. The policies approved at the convention will guide the nation’s largest general farm organization throughout 2019.